Today we are happy to announce the winners of our challenges for the month of November! 11/06: barbp; 11/13: jinnynewlin; 11/20: mamakven; and 11/27: mamakven. 11/05: mamakven and 11/26: mamakven. How lucky am I? I got the Christmas Day post AND the New Years Eve post. 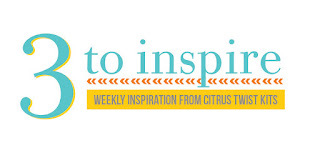 Better yet - I scored the last 3 to inspire of the year. So lets aim for a fresh start and a real challenge to send the year off in style shall we? Here are your 3 prompts. 2. Use a product your not hugely fond of. 3. 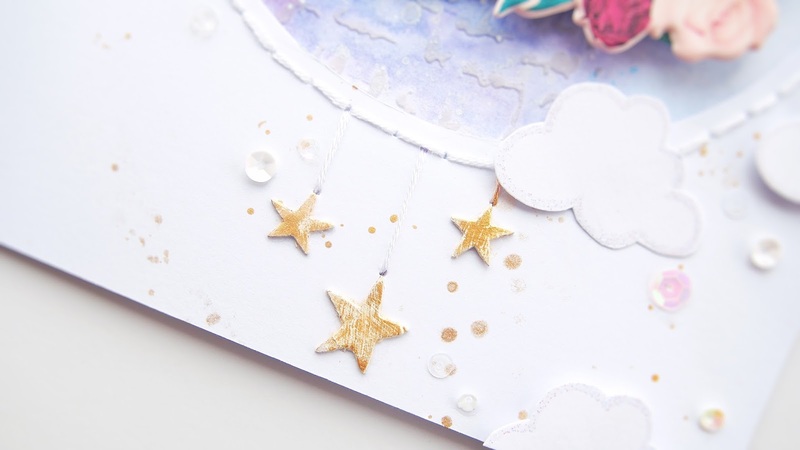 Use an up an entire packet of embellishments. I often struggle with the mixing of patterns. It's certainly easier to manage when working on a base of white cardstock but I really wanted to challenge myself. So instead I choose to layer my spots, stripes and woodgrain. I think in this case it really works because they all share the mint green colour. I'm just going to come out and say it. I hate cork... and burlap, but thats another story. 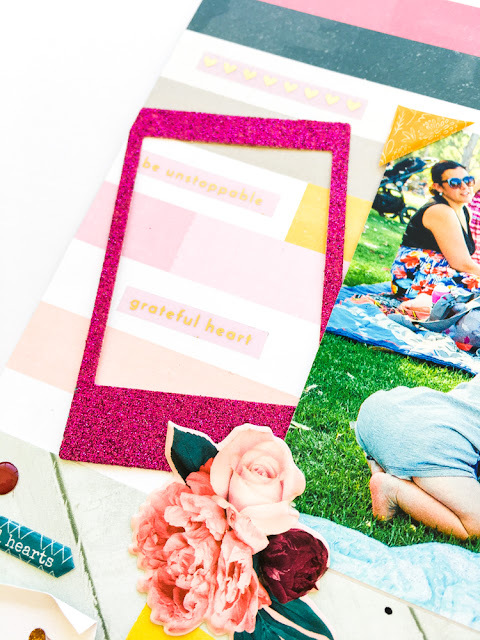 I admit Pink Paislee certainly made it better with the gold glitter, but it's never going to be my go to embellishment. It really does suit this layout though. It added blog and detention but without adding a ton more colour. I'm glad I saved the packet after all. Finally I used up the last of my Pink Paislee Puffy Stickers from this months Embellishment Kit. I must confess it wasn't a 'full packet' when I started the layout. There was just over half a packet maybe, but if feels so good not to have to find a home for it not that it's time to break this months kit down. So you can relax, the embellishment police are going to come knocking if it isn't a full packet. I will however award bonus points for more than one packet. Wink, Wink! 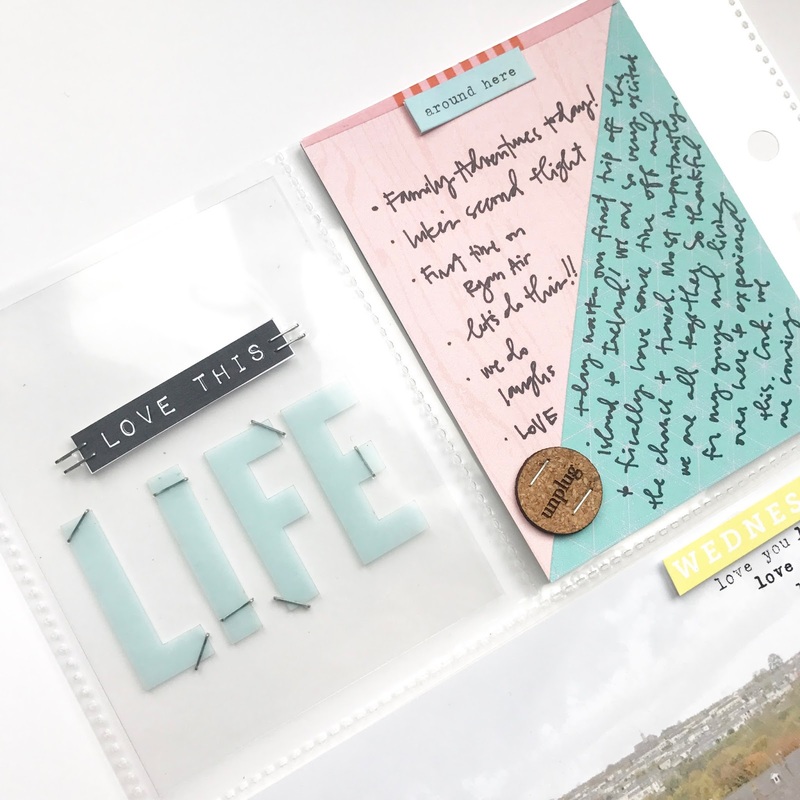 Now go forth my beautiful little twisties and create!Use the three prompts to create your own projects and share them with us here in the gallery and/or our Facebook Forum. I really can't wait to see how they all turn out. 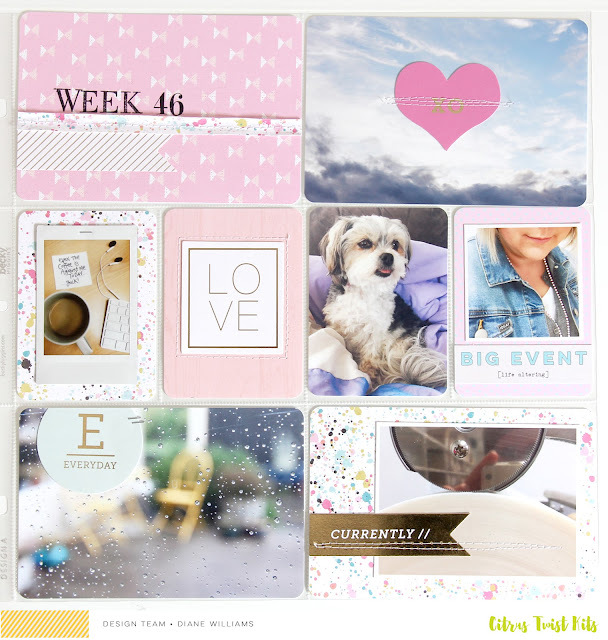 Pink, gold and splatter for the win this week! 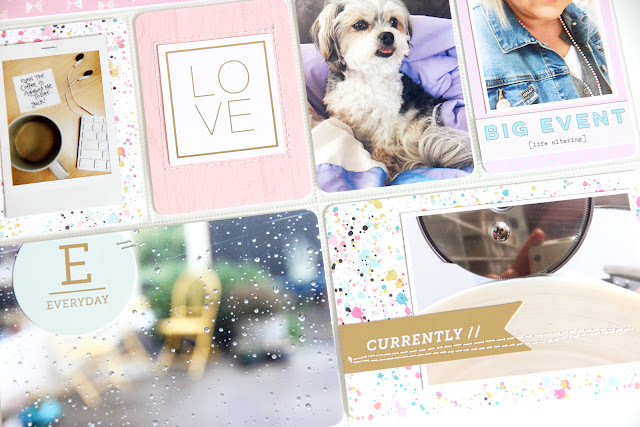 My photos were very light and pretty so I kept the theme going with all the girly, pretty things I could add. I also added a lot of stitching with my machine, I love the texture it adds. Thanks for visiting Pocket Life Friday, where every week we share PL sketches and a chance to win. 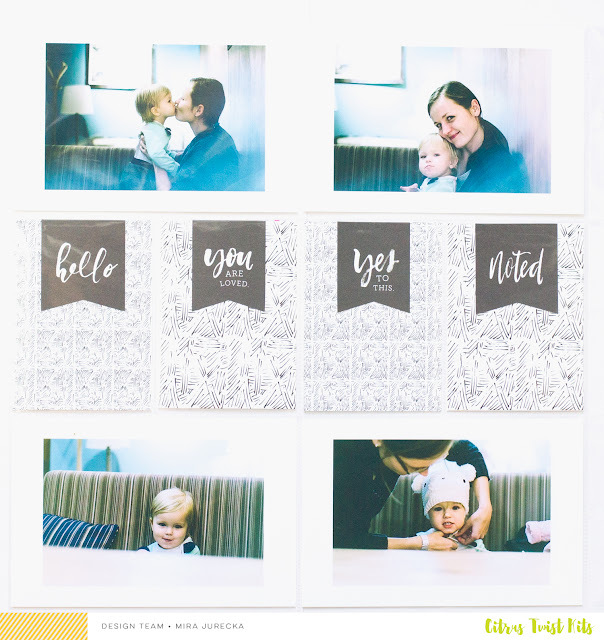 For your chance to win, create a layout based on the sketch in this blog post, post your layout to our Gallery or our Facebook Fan Page by Friday, January 6th 2017. Be sure to include PL 12/30 in the title! Hi, It’s Karen here today. I hope that you had a lovely Christmas and enjoyed spending time with family & friends. 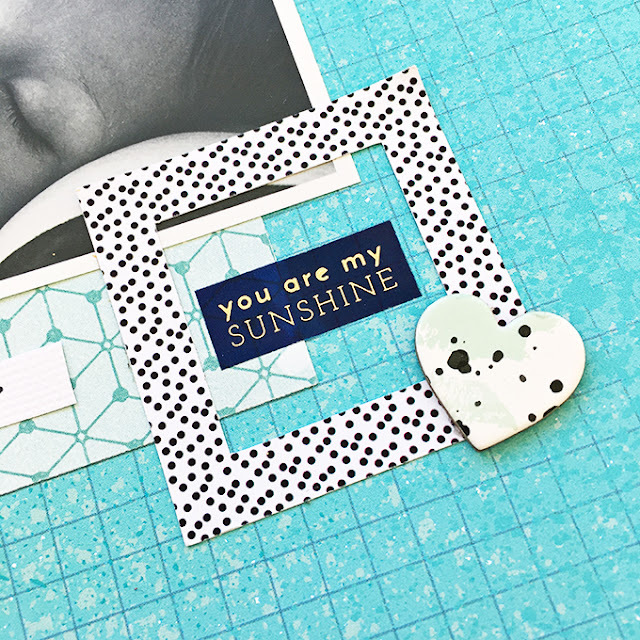 Today I want to share a layout I created with the December Kinsley scrapbook kit and Embellishment Add-On. 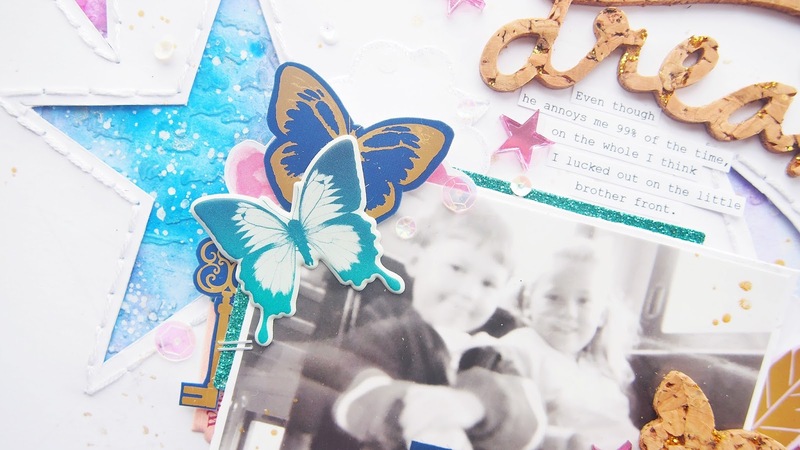 I feel as though I haven't scrapbooked in a while, & I've been itching to create, so once Christmas was over I could really concentrate on my craft, it felt so good! This kit has some beautiful papers in it, really dreamy colors & embellishments. When I saw the 'Pink Paislee' Moonstruck Cork Stickers with 'Dream' on it, my inspiration hit overload. Does that happen to you? 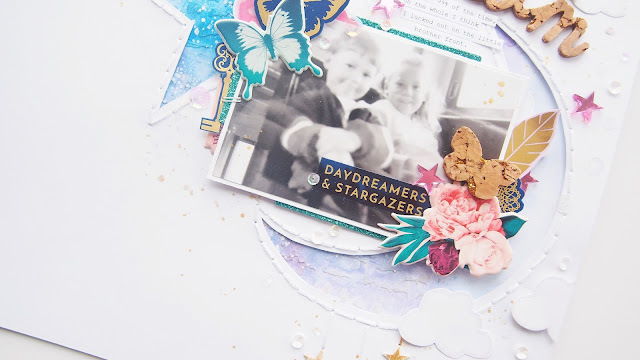 I sometimes have no idea of what I want to create & use to design a layout, so I take my time to really look at the papers & embellishments & with luck, I usually am inspired. Fail that I use Pinterest, ha ha. I loved stitching around my hand-cut 'speech' cloud using plain white embroidery thread & couldn't resist adding some more stitching on my layout elsewhere. 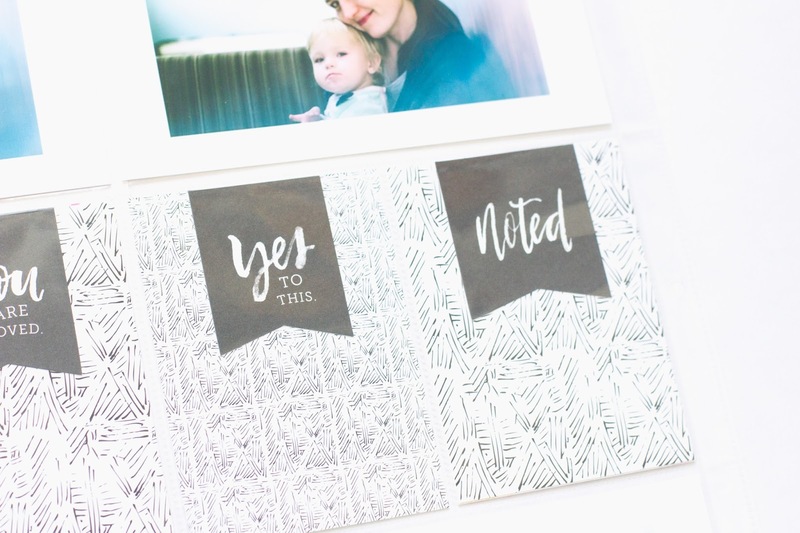 The kit also comes with 'We R Memory Keepers' Layered Tags, they are gorgeous & I had a hard time choosing which ones to use on my layout, in the end I went for the 'eyes' tag & my fave - black & white stripes. 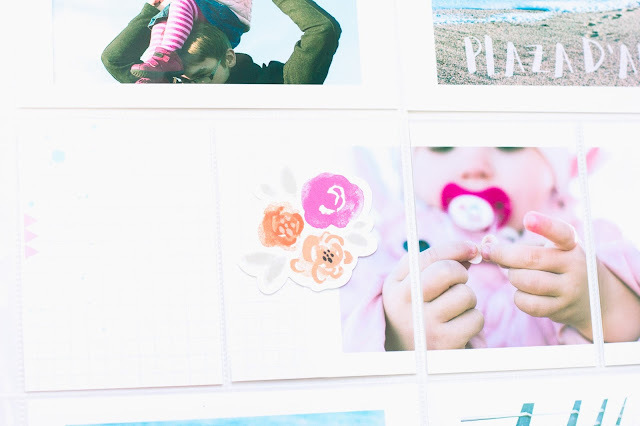 I love adding more layers to my photos & deciding what papers to add underneath is my fave part. My final embellishment to any layout is paint splatters, I love this part. I use colors that will accentuate my layout, I add water to my palette, get my brush full of paint & then splatter until I am satisfied. 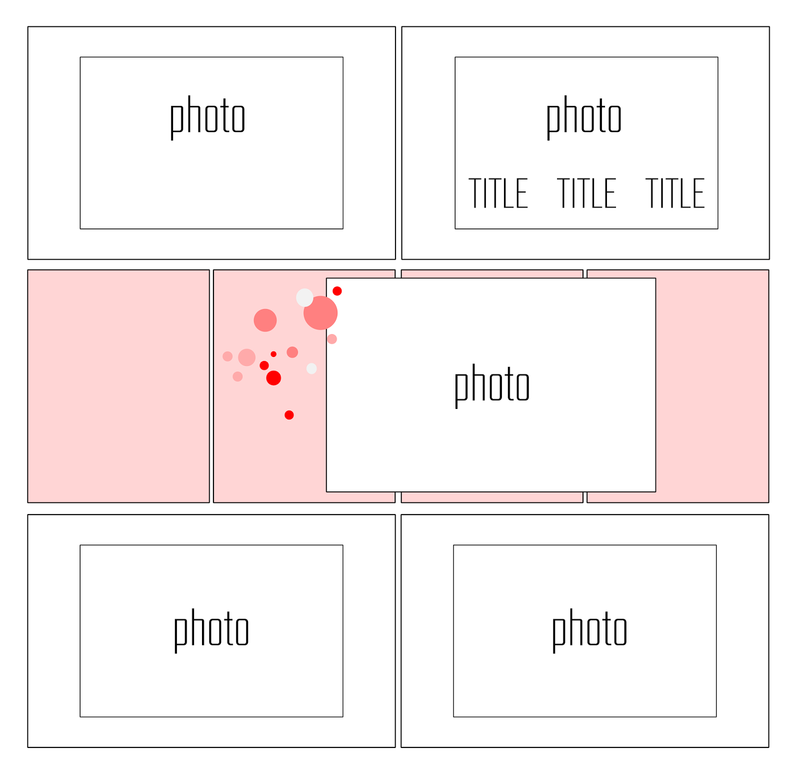 I never over do it, I glance over my layout after each splatter & ask myself is it enough? If not, I keep going! I hope I've inspired you to create a layout today using your December Kits. Thanks for joining me, see you in January 2017! Can you believe that? Wow time certainly goes by too fast. 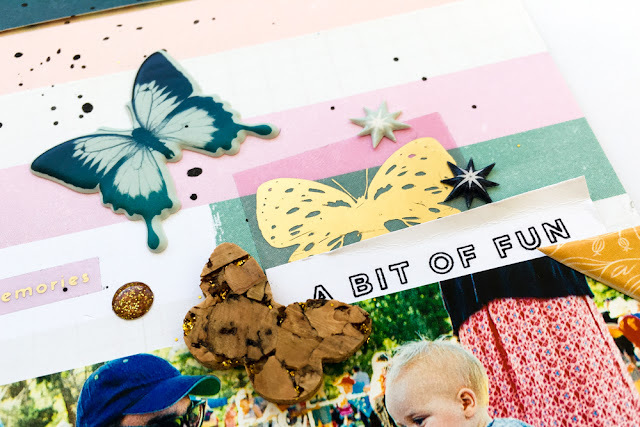 Hey everyone, it's Elsie popping back on the blog today, and one of my New Year's resolutions is to be brave and incorporate some mixed media into my scrapbooking - haha! So this is definitely not a life-changing New Year's resolution by any means, but I always like to make sure that I am pushing and challenging myself creatively. And boy, does painting challenge me...! 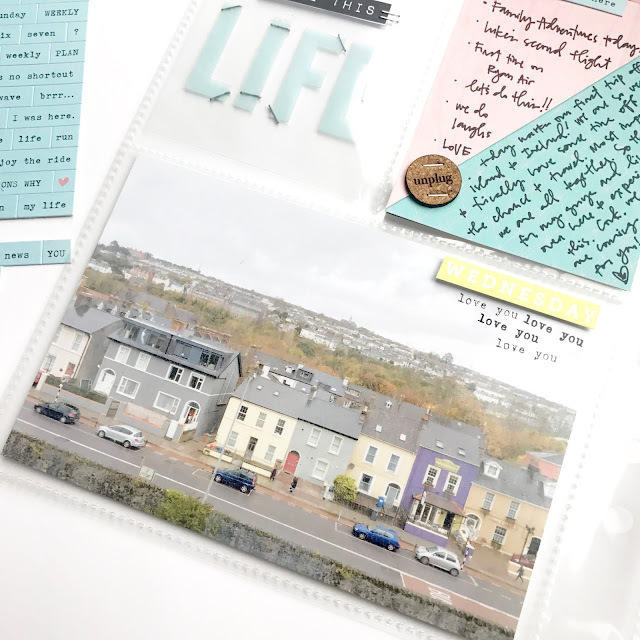 I've always found it difficult to incorporate mixed media into my style of scrapbooking, and if I'm being honest a lot of previous mixed media layouts have ended up in the bin - eek! I was really inspired by this month's Kinsley Embellishment kit, I loved the glitter, gold foiling and the galactic colour tones in the kit, and that combo was my starting point. 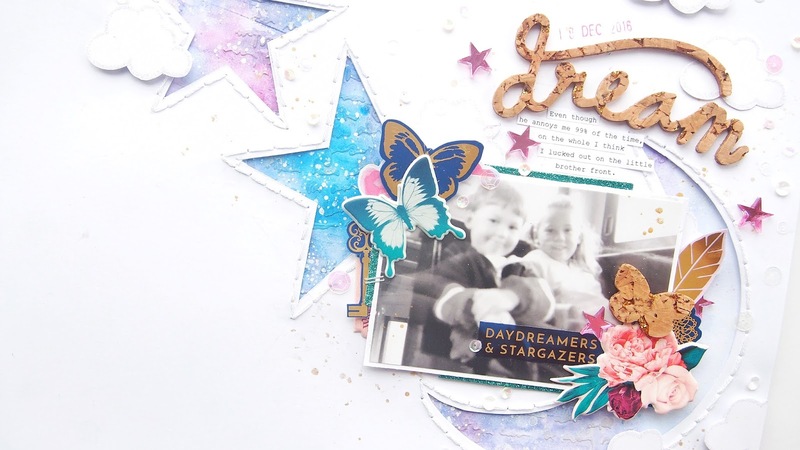 In the Pink Paislee Moonstruck collection there are some embellishments with script on them, so I decided to use a script stencil from my stash and start my mixed media process using that with some modelling paste. Once that was dry I used watercolours in dark blues, pinks and purples with a very wet brush so the colours could blend and mix together, to get that Galaxy look I was after. 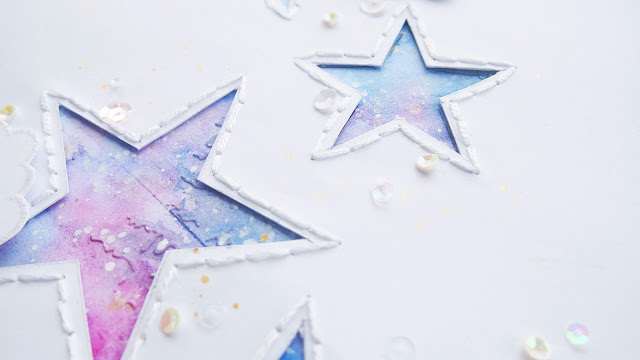 I then splattered some white acrylic ink with a small brush to make it look like some tiny stars. And honestly, I was left with a 12x12 piece of paper that looked like a mess!! 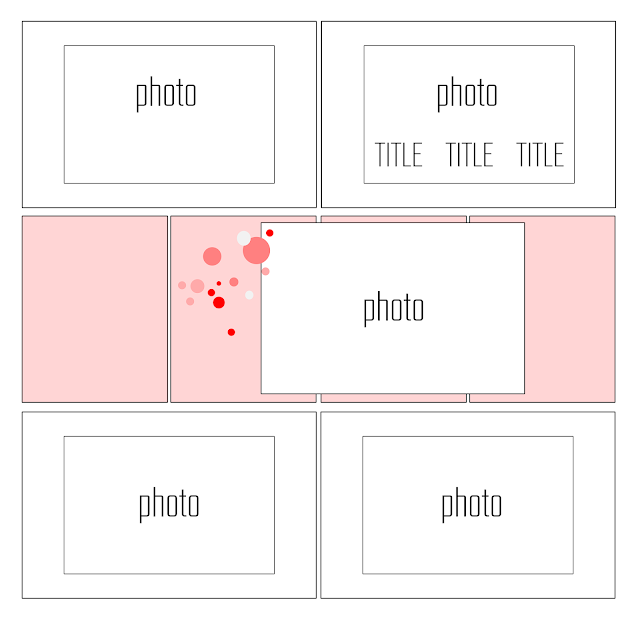 Albeit a very pretty mess, but a mess I felt very daunted to make a layout with. I decided to grab another piece of white paper, draw and cut a half-moon and star design, hand-stitch around them and back it with the mixed media page. And I loved the way that looked! Being able to control what parts of the background you could see and getting my beloved white space back, made the mixed media so much easier to work with. 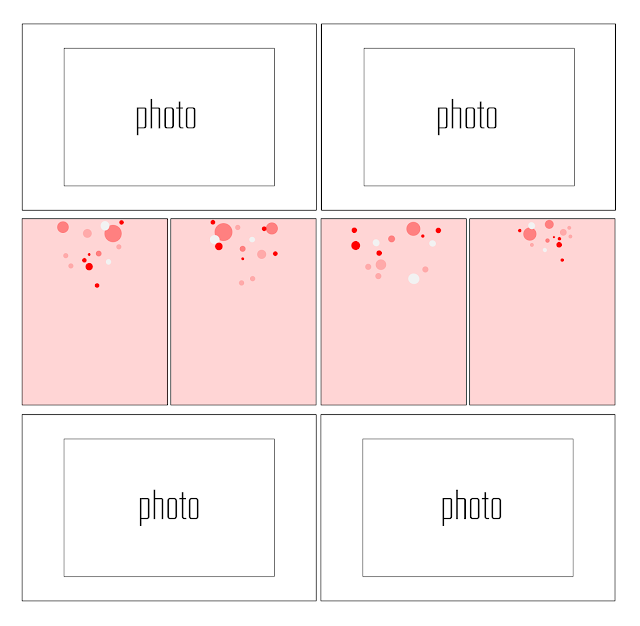 I went to town clustering the embellishments around my photo. Also by firstly placing the translucent Pink Paislee Moonstruck stickers onto white paper and then fussy-cutting them out, meant that I was able to place them wherever I wanted and use them like die-cuts. The wooden stars from the Main kit are so pretty and such a fun shape, but to make them work with this layout, I painted them with some white gesso and sprayed them with some gold ink. I love their distressed look, it really complemented and echoed the gold flecks in the cork title 'dream'. 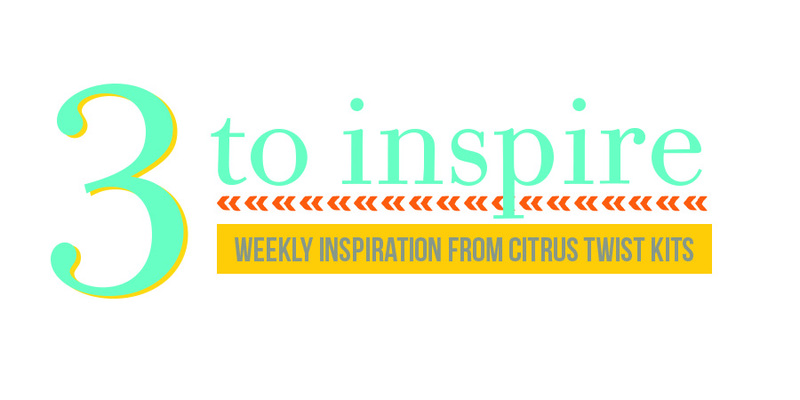 Thanks for joining me today, and I hope you're inspired to try and work some mixed media into your projects! Have a wonderful New Years everyone, and I'll see you again in 2017! Hi there! I hope that you've all had a very happy holiday season. 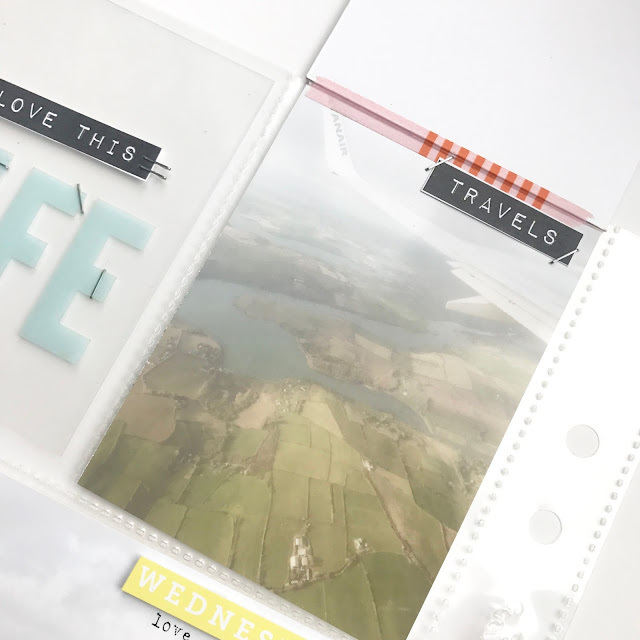 Jen here, and I am sharing a tutorial using the December Pocket Life kit, as well as some mixed media supplies. Let's get started. You'll need some modeling paste, a stencil, some acrylic paint, and a palette knife. If you don't have one of these, you can also use a spare gift card or old credit card. All of these supplies can be picked up at your local craft store. You can definitely leave the modeling paste white, but for this page I decided to tint it pink. Here I used acrylic paint, but you could also use ink or mist as well. Use a scrap piece of packaging or paper plate to mix up your paste until the desired color is acheived. 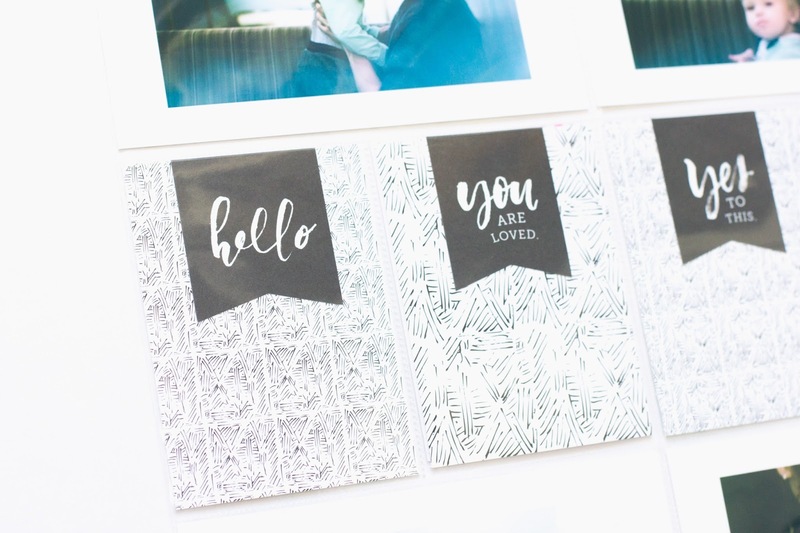 Secure the stencil to your project using some washi tape. This will help keep it in place as you're spreading the modeling paste over the stencil. Carefully peel up the stencil and wait for your creation to dry! Make sure you wash your stencil and knife right away so the paste doesn't dry on it and ruin your tools. Here's a look at how it turned out on the layout. Super cute, right? 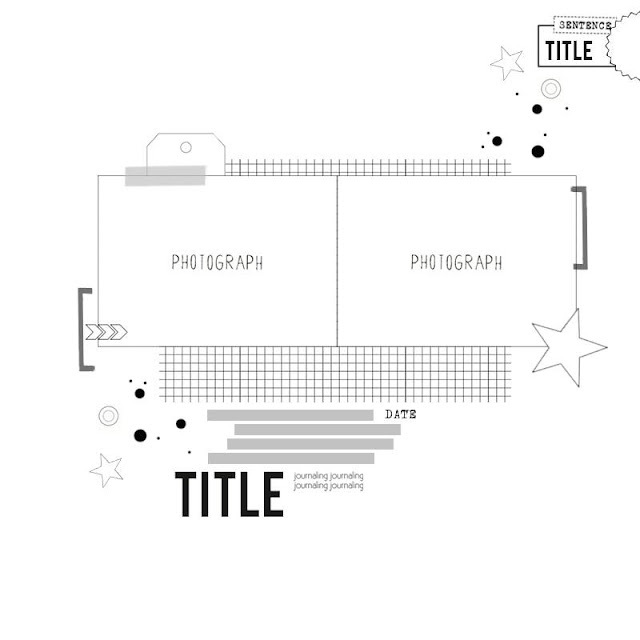 And here is the layout in it's entirety. 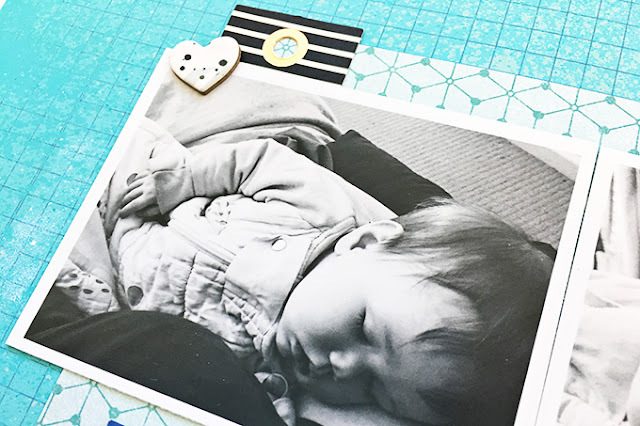 Love how this technique adds a subtle bit of texture to your projects! I hope you'll try this soon. Have a great day! Hi, It’s Veera here today. I hope that you are enjoying the holidays and spending quality time with your loved ones (and maybe even with your favorite craft supplies)! Today I want to share a layout I created with December Kinsley scrapbook kit and Embellishment Add-On. 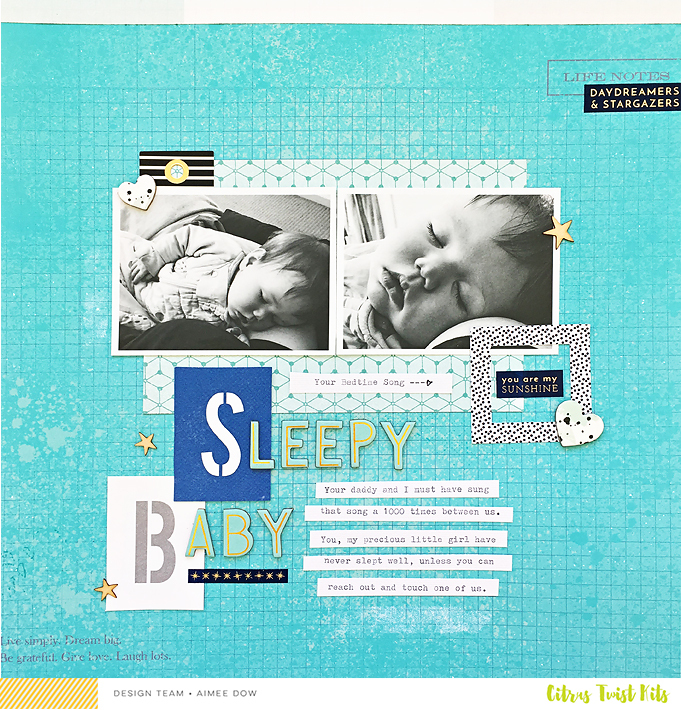 Recently I have enjoyed creating layouts with a diagonal design and that was my choice for this layout too. The design creates certain kind of flow to the layout. 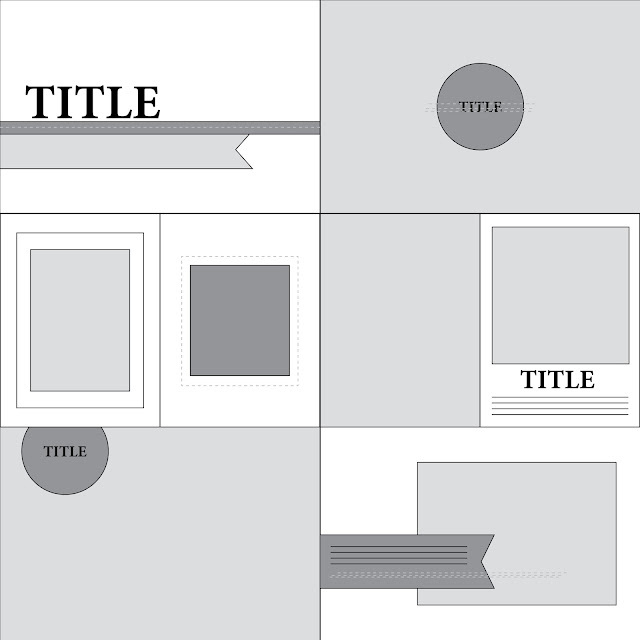 I placed my title on a diagonal line too and added embellishments to emphasize the design. 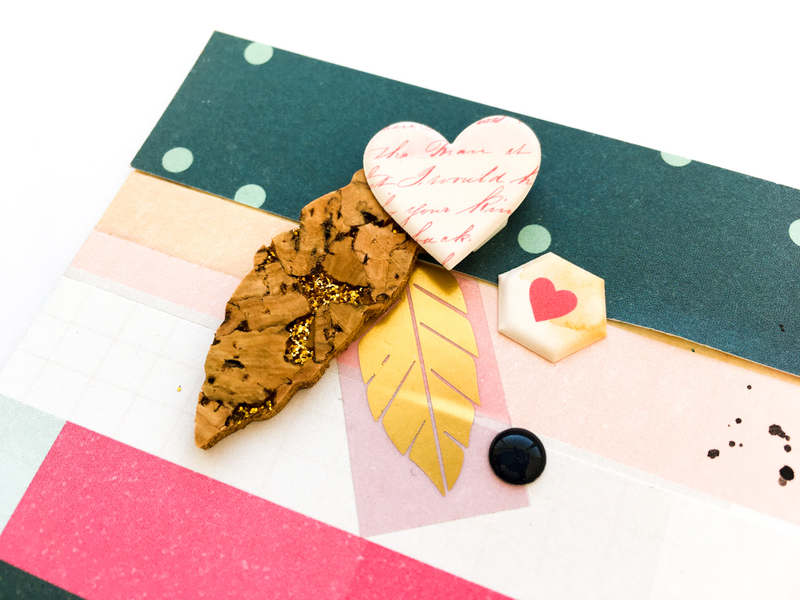 I used the exclusive die-cuts as my embellishments too. The beautiful flowers matched the photo and paper perfectly! I hope you are enjoying your December kits! Hi there! Merry Christmas! I am SO very honoured that you've come to visit little old me on such an auspicious day. In fact, I kind of feel like I need to deliver in a big way just to make it worth your while. Good thing, I've got a cracker of a sketch and page for you then, huh? Let's get started. 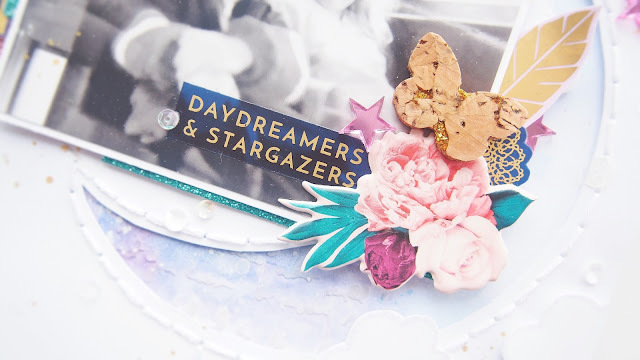 I used this months Main and Embellishment kits to create this page. I've got to say, I'm really not one for pattern paper background, but this exclusive grid paper from Citrus twist is to die for. A girl can always do with a shake up now and again. I did try to stick as closely to the sketch as possible, but I did have to get a little creative when it came to title placement. I really struggle with titles so the fact that I managed to come up with such a good looking one with the Crate Letters and thinkers - well it was going on the page even it killed me. Fortunately it never came to that. Just 20 minutes of pushing things round, much like a cat nudges a ball of wool and I managed to figure it out. The layout itself is rather thin on embellishments. 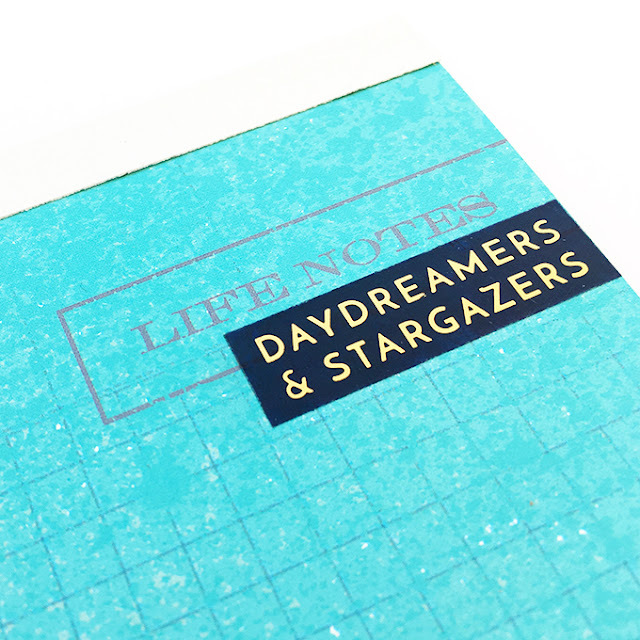 I really loved using the Moonlight clear stickers from Pink Paislee. I don't know that I ever really decided to make it monochrome it just looked best that way with the black and white photos. You certainly don't have to make yours that way. 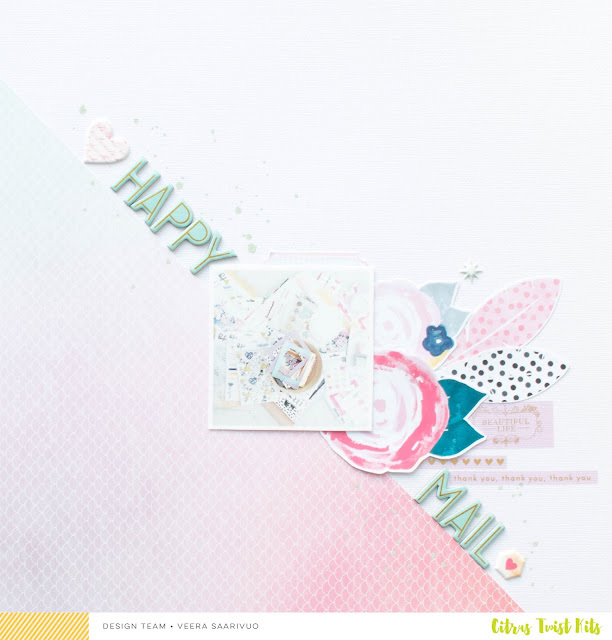 Remember if you are playing along, create a layout inspired by the sketch and upload it to the CTK gallery with today's date (12/25) in the title and you will be in with a chance to win a $5 gift certificate to spend in the CTK store. I'll be seeing you again real soon. Hello lovelies, Tara here. It's that time again and YAY! I'm so excited to be hosting it this week (it's my absolute favorite challenge ever). So let's get down to it! 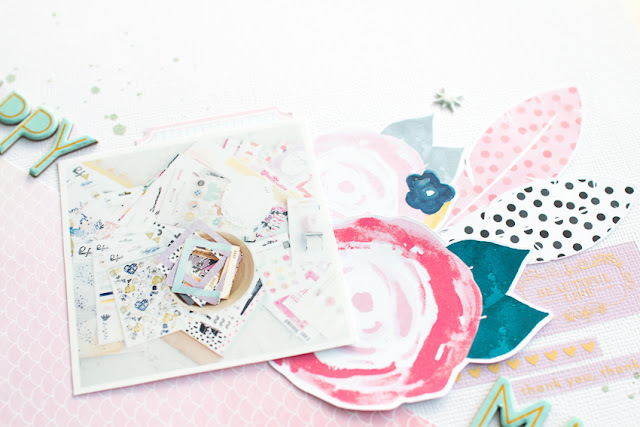 I know you're busy with the holiday festivities but who doesn't want a bit of inspiration to get some crafty time in? 2. Use vellum letters or ephemera. 3. Use stamping as repetition. 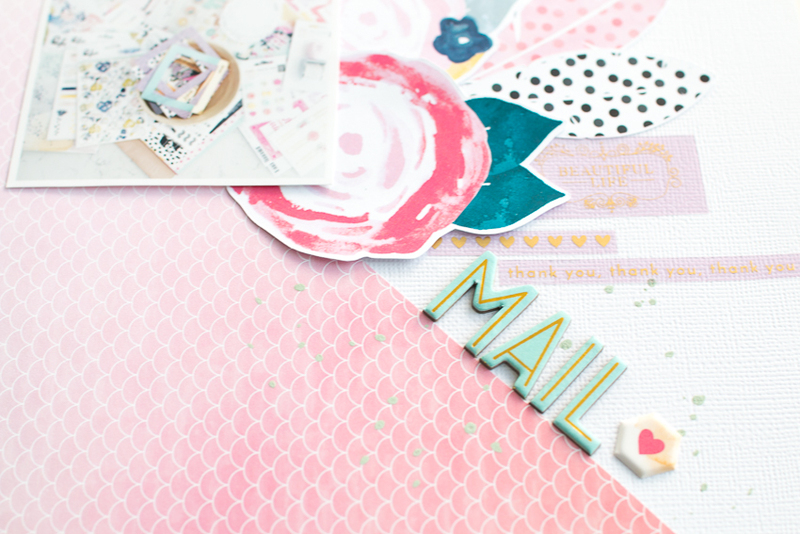 I really wanted to incorporate the vellum "LIFE" letters that were included in the December "Kinsley" PL kit. Instead of attaching it directly to the pocket, I used a leftover clear acetate piece I had and stapled it with my tiny attacher. I did want to add some dimension, so I used a cut apart and stapled it to the outside of the pocket. I also added a cork piece from a past Citrus Twist main kit. 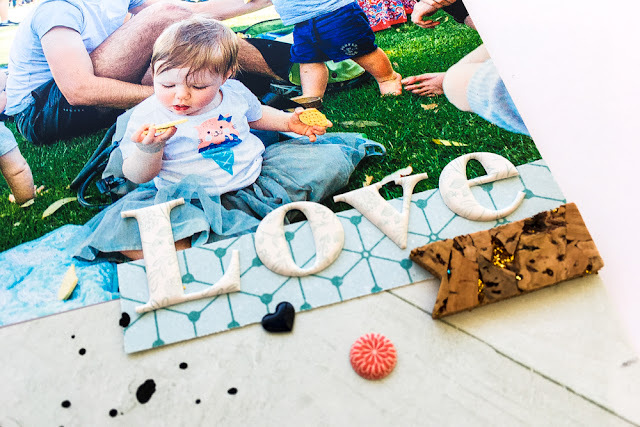 If you can't already tell, I love using my tiny attacher all the time! If you don't have one, you can find it in the shop. 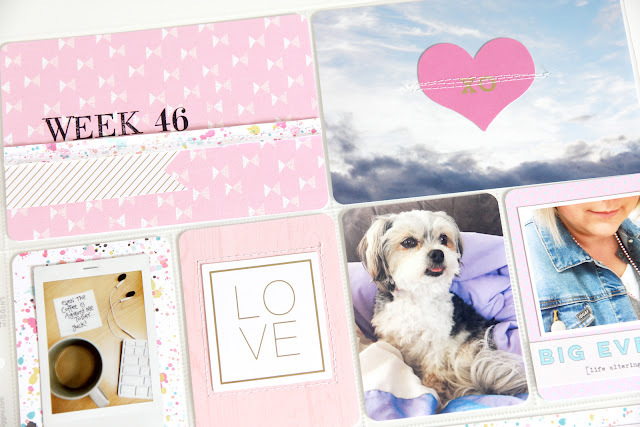 For the journaling card, I took the pink wood grain journaling card and chopped it in half. Then I used a really cool turquoise 6x6 patterned paper cut down to 3x4, then attached the pink half triangle on top. I wanted to add another photo to this spread by using some washi tape from my stash to make a flip up card. I thought about making the flip up card one of the prompts but kept it pretty simple. I loved this view over Ireland as were were getting ready to land! This was the view from our hotel room. I cut down the "WEDNESDAY" ephemera found in the Project 52 Fresh ephemera (I love Liz Tamanaha!!) to fit the photo better. I then took the stamp set (the ephemera pack and stamp set are also a part of the Kinsley kit) words "love" and "this" to stamp right on my photo. I had so much fun creating this pocket page and cannot wait to see what you come up with! 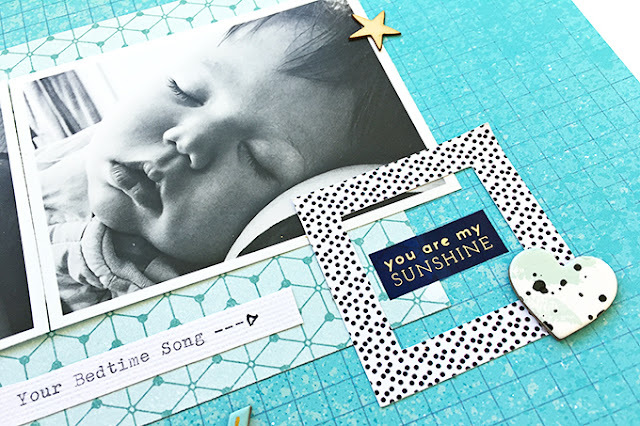 Use the three prompts to create your own project and share them with us in our Gallery and/or Facebook Forum. If you're a huge Instagram fan like me, tag @citrustwistkits and don't forget to use the hashtags: #citrustwistkits #ctk3toinspire. Happy Christmas and Best Wishes! It's Mira Jurecka today bringing You my favorite Citrus Twist Kits challenge: Pocket Life Sketch! I hope You are already prepared for Christmas, waiting for the big day to come relaxed and that You'll find some time for Your crafts! Today I have two simple pages from my album and two sketches to help You create something nice! Don't forget to share Your pages with us to get a chance to win a price (You can read about that at the end of the post)! 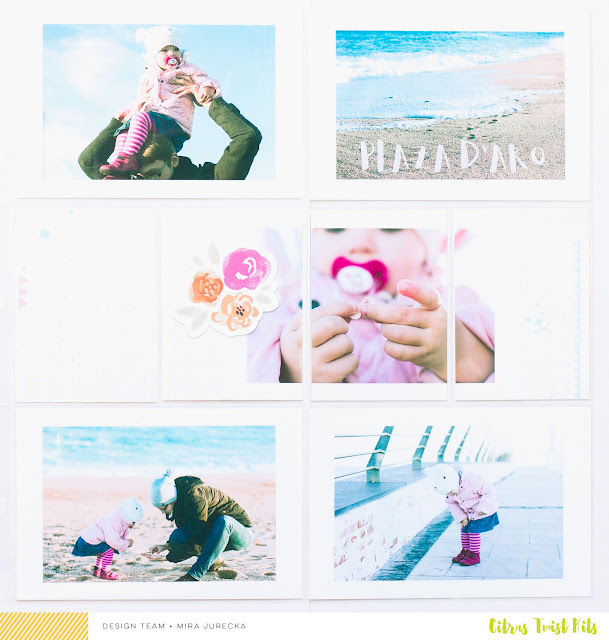 This one was made with the pictures of my little girl and I, and I mixed these pictures with exclusive CTK papers from PL kit. The same pattern appeared in the kit in two versions: big and small, so I used them both to fill the pockets in the middle of a page and I like the consistent look that I achieved here. I added a few labels on top and I was ready to call it done! 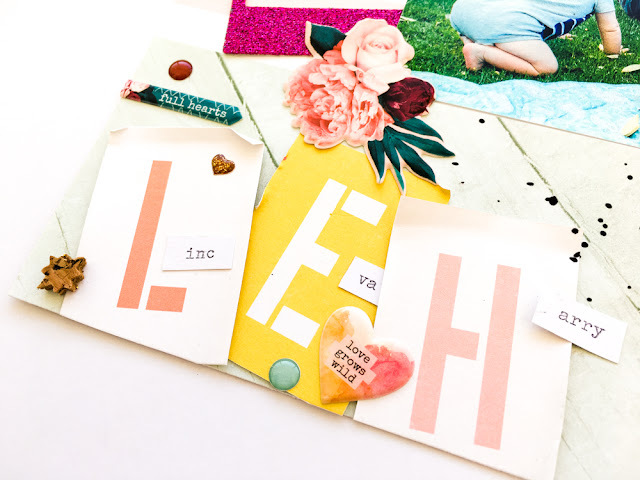 Instead of the labels You can use other embellishments, and I think the effect will be fun! 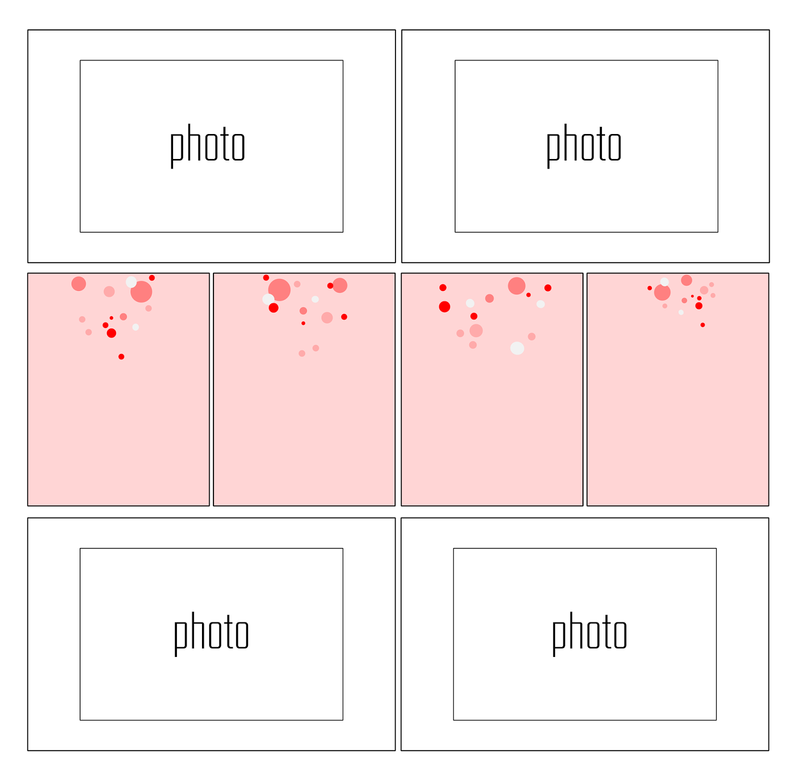 My second page is simple and full of pictures too, but I made a nice little trick here just to show You how You can easily change things up in Your album from time to time. What I really like doing recently is dividing one picture and putting it's parts into three separate pockets. 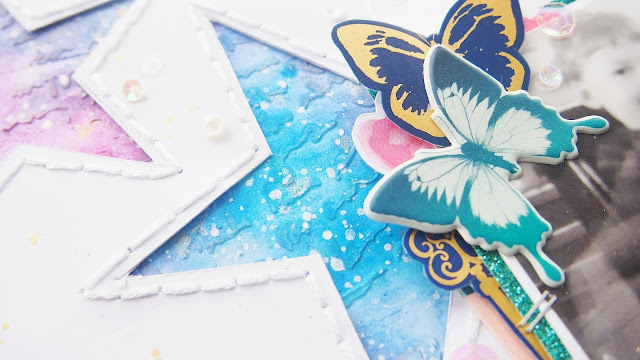 Again there are four big pictures: two on top and two at the bottom of my page, and in the middle I placed exclusive cards from PL kit - just to create some base, adhered my picture and added single embellishment on top, which was this cute paper set of flowers. I hope You like these pages. One more thing that I love about them is that they can be made in 15 minutes, so it's perfect project for this busy time of the year! 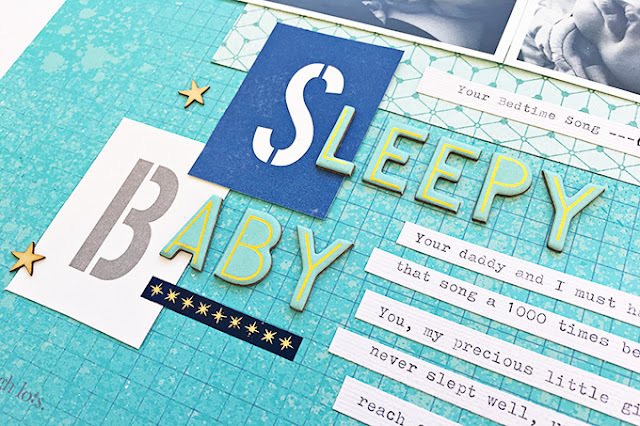 If You happen to create something similar, be sure to post your layout to our Gallery or our Facebook Fan Page by Friday, December 30th and include PL12/30 in the title to get a chance to win! Thanks for visiting Pocket Life Friday and have a fantastic Holidays full of magic!